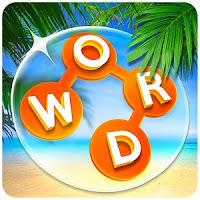 Wordscapes 2 by "PeopleFun" answers, cheats, solutions for the levels in [Marsh] Cover Pack. On this page you'll find the solutions for all the levels in Cover Pack. Leave a comment if some of them are wrong and I will fix it as soon as possible. If you are looking for a different level, just click on "Select A Different Pack" link on the bottom of this post, you will find there a list with all the levels in Wordscapes. Wordscapes [Marsh] Cover Pack Answers, Cheats, Solutions for Android, iPhone, iPad, iPod. Note: This is "Wordscapes" by "PeopleFun"